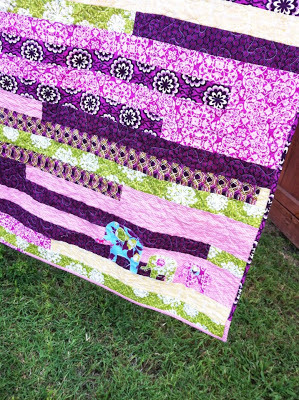 Have you heard of the 1600 Jelly Roll race quilt? I have to say this is a fun one and the quilt top can be finished in about an hour! You can do it at home just for fun or get with some quilting friends and make it a race. I actually did mine at home all alone and didn't have a Jelly Roll(don't I sound pitiful? 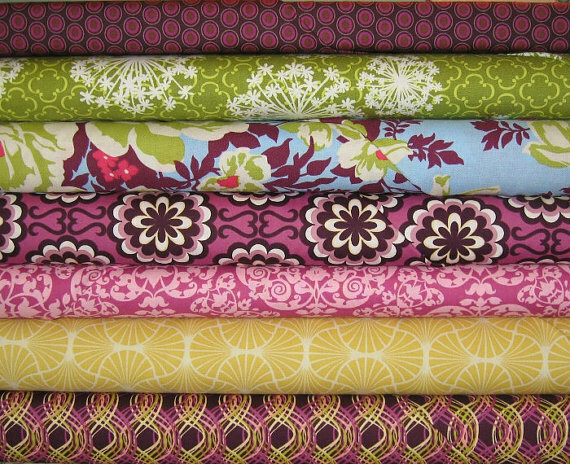 ), but had this great bundle of fabric so I started cutting out 2 1/2 in strips. I wish I added about two more fabrics to the mix but am so happy with how it turned out. After the quilt top was finished, I raw-edge appliqued three elephants to the bottom right corner. 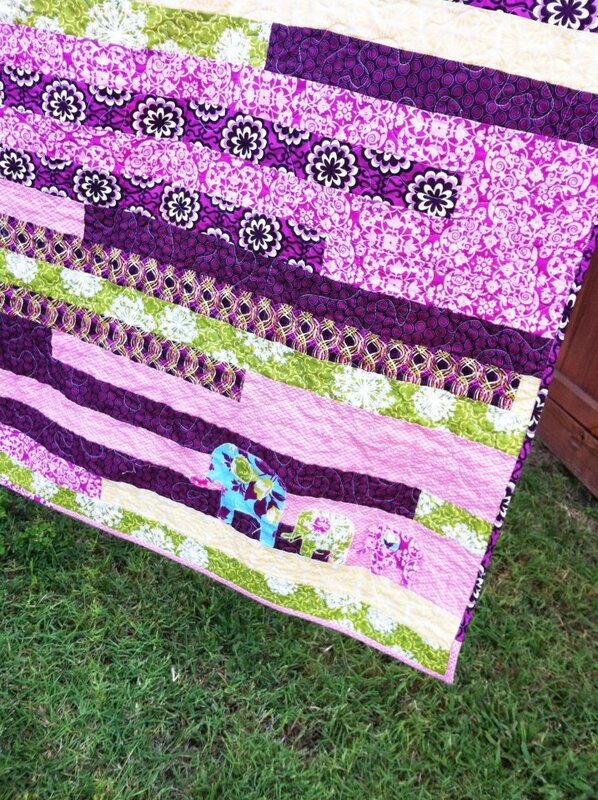 One mamma and two babies (I was pregnant with Little Relish #2 and this quilt was for me so I thought it was perfect)and also, purple and elephants are my favorite! 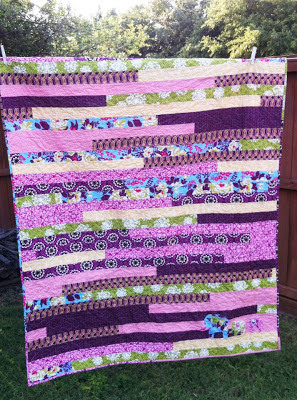 Instructions on how to do a 1600 Jelly Roll quilt can be found here, but there are also lots of step-by-step tutorials out there...here is one just to get started at happier than a bird quilts! 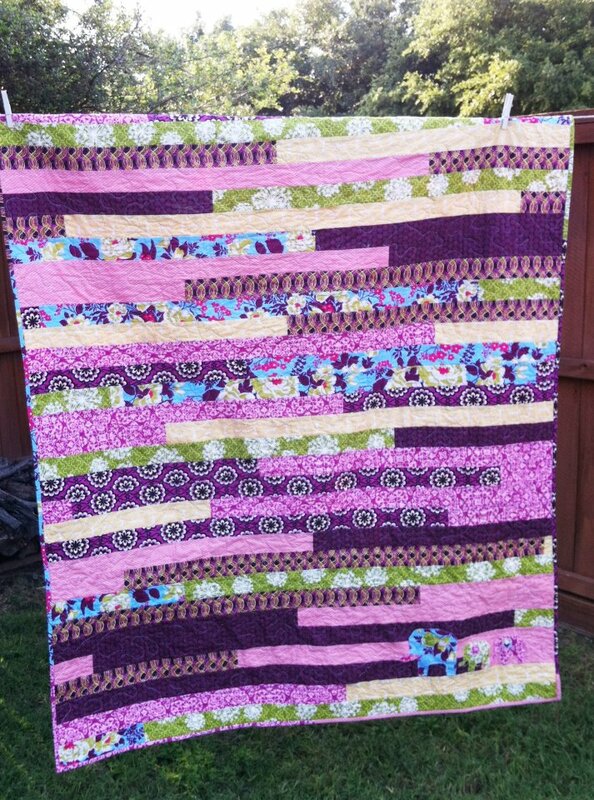 I actually just finished my second jelly roll quilt. This time I had a package of those smaller than charm (2 1/2" squares) that I put between the strips of fabric as I was sewing the strips together. It took a bit longer but I like the visual interest. These are just great quick quilts that show off the fabric.